Virus diseases, particularly those caused by the grapevine leafroll associated viruses (GLRaV) and grapevine red blotch-associated virus (GRBaV), are a serious threat in all Canadian wine producing provinces due to their rapid spread and severe impact on grape and wine production and quality. Activities in this theme will determine the incidence of virus infections across Canada, the role insect vectors and their control play in infection spread, and the virus impacts on grape yield and quality. Objectives: 1. Management of GTD in nurseries and young vineyards a) investigate non-destructive methods and evaluate molecular tools to efficiently detect Grapevine Trunk Diseases (GTD) pathogens in nursery material; b) evaluate the status of domestic and imported nursery material with regard of GTD; c) determine abiotic stress factors favoring GTD development in newly established vineyards. 2. Management of GTD in mature vineyards. a) investigate and implement novel and existing chemicals and/or biological control agents against GTD; b) investigate and implement best cultural practices to mitigate GTD under BC growing conditions. 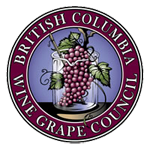 UPDATE JAN 2019: The attached document summarizes the Plant Pathology laboratory’s past and future research on grapevine trunk diseases in British Columbia, one of the major problems the industry is currently facing. This article reviews the work conducted to develop and implement effective management strategies against these diseases in Canada.